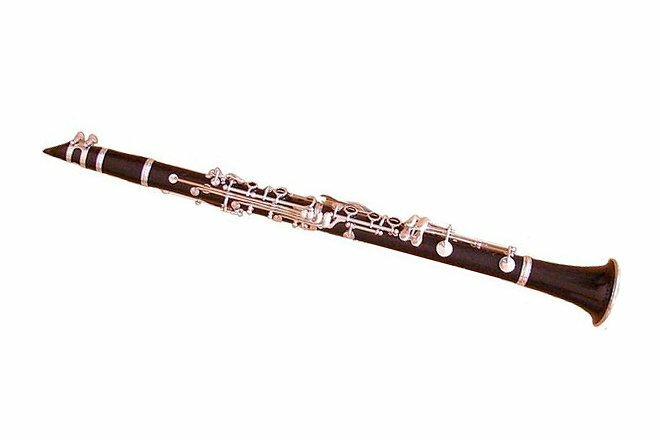 While the clarinet and the oboe are both musical instruments of the woodwind family, there are a few characteristics that differentiate them from each other. The clarinet has a cylindrical bore and uses a single reed while the oboe is an instrument that uses a double reed. Finger basics can be learnt within a few months. Requires extensive practice to master airflow and the rich, dark timbre. A little more difficult to learn than the clarinet. Needs consistent practice and a competent teacher to master. The clarinet is a musical instrument that is a part of the woodwind family. The instrument has a cylindrical or reverse cylindrical bore, and uses a single reed. The oboe is a double reed musical instrument of the woodwind family. The instrument has a conical bore. Distinct timbre differs from musician to musician. Generally mellow, round and dark. Penetrative sound that is amplified due to the conical bore, and bright sound that are favoured by some. Karl Leister, Sabine Meyer, Martin Frost, Alessandro Carbonare, Sharon Kam, József Balogh, Luigi Bassi , Simeon Bellison, Wilfried Berk, Kálmán Berkes, Julian Bliss, David Blumberg, Pavel vinnitsky, and Benny Goodman are some of famous clarinetists Albrecht Mayer, Pauliene Oostenrijk, Anna Duinker, Diana Doherty, Kieron Moore, Koen van Slogteren, Jonathan Small, Peter Smith, Fredrik Söhngen, Robert Sorton Jan Spronk, Karl Steins, Cynthia Steljes Deb Stevenson and Ray Still are famous oboists. Classical music, chamber music, concert bands, folk music, marching bands, film/movie scores, choro, Latin jazz, Cuban, rock, country and pop, solos and orchestras too. Baroque music, Classical music, Romantic music, Traditional, Celtic, Concert bands, film music. Chamber ensembles, solos and orchestras too. Piccolo clarinet, Sopranino clarinet, Soprano clarinet, Basset clarinet, Basset horn, Alto clarinet, Bass clarinet, contra alto clarinet and contrabass clarinet. English Horn(Cor Anglais), Piccolo oboe, Bass oboe, Oboe D'Amore, Baroque oboe. Hornpipe such as the albogue, alboka, and double clarinet is known as the predecessor of the Clarinet. Hyacinthe Klosé made further changes to the instrument which is now widely accepted by the public. The Oboe has uncertain origins. However, it was found in French courts in the mid 17th century. The clarinet has a unique timbre that is a result of the cylindrical bore. It varies with the "height" of the tone, which may be the chalumeau, clarion, or the altissimo. The sound from the clarinet can differ from musician to musician and the music being played. Clarinets are known to have the largest pitch ranges in the woodwind family. The timbre of the Oboe is distinct and penetrative and is a result of the conical bore. This makes the Oboe excessively audible over other instruments in large ensembles. The reed in the instrument plays an important part by delivering a hint of its characteristic to the sound that emanates from the Oboe. The Piccolo clarinet, that is very rare and is used in Italian military music. 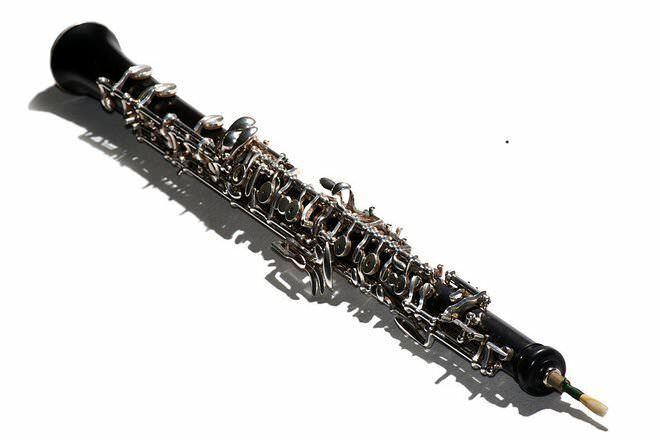 The Sopranino clarinet which is usually used in concert bands due to its favorably compatibility with other instruments. The Soprano clarinet of key C (the timbre is considered "too bright"), of key A (it has a rich sound) and of key B♭ (it is most commonly used). The oboe family is not as large and comprises Cor Anglais and Oboe d’amore. Cor Anglais or English horn is pitched in ‘F’ while the Oboe d’amore is pitched in ‘A’. The bass oboe (also known as the baritone), sounds one octave lower than the usual oboe. The Heckelphone is perhaps the rarest of them all, with only 165 pieces being manufactured. Keyless folk versions of the oboe (most descended from the shawm) are found throughout Europe. These include the musette (France) and bombarde (Brittany), the piffaro and ciaramella (Italy), and the xirimia or chirimia (Spain). A single-reed instrument or hornpipe such as the albogue, alboka, and double clarinet is generally considered the predecessor of the clarinet. The modern clarinet, however, was developed from a Baroque instrument called the chalumeau. In 1812, Iwan Muller, a Russian clarinetist developed a new pad that was covered either with leather or fish bladder. This was a breakthrough for clarinetists worldwide, as it gave them the freedom to experiment with the instrument and enhance their music. Beyond these developments, it was Hyacinthe Klosé, who brought in changes in the instrument which were widely accepted by clarinetists which are in use today as well. The Oboe, on the other hand, has mysterious origins. No one is certain of its place and exact date of origin but the Baroque oboe is known to have appeared in the French courts in the mid 17th century. This was made out of boxwood and had three keys. Then came the classical age where the oboe bore was gradually narrowed and several keys were attached to the instrument, among them were those for the notes D?, F, and G?. The modern oboe is most commonly made from grenadilla, also known as African Blackwood, though some manufacturers also make oboes out of other members of the genus Dalbergia, which includes cocobolo, rosewood, and violet wood. 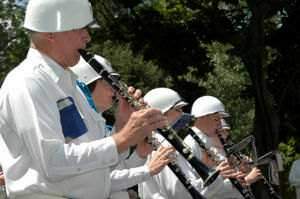 The clarinet is widely accepted by musicians and is invariably found in an orchestral group of instruments which are used for classical music, concert bands, jazz, rock and pop. On the other hand, the oboe is usually used in western classical music but not without exception. It is also used in traditional, folk music as well as jazz, rock and pop and film music. The price of a clarinet varies from player to player. If the user is a student, he/she can expect to pay $400 for a student class clarinet. However, if an intermediate player is looking to buy a new clarinet, he will have to invest $700 or more. Professional clarinetists can expect the cost of their instruments to be $1000 and above. The oboe however, is a lot more expensive than a clarinet. The starting price of a basic instrument would be $1800 and above. Similarly, if a professional player is purchasing a new oboe, he can spend $6000 to $8000 on buying a good quality instrument. Learning to play the oboe is more difficult by all accounts. It is hard to get the sound right initially. However, if you have a good instrument and a competent teacher, you will find yourself comfortable with the equipment within a few months. The learning process depends entirely on how regularly and sincerely you practice. There are incredibly talented musicians who have mastered both the clarinet and the oboe. A list of famous clarinetists includes Ernest Ackun Luís Afonso (also known by nickname "Montanha") Cristiano Alves, David Athan , József Balogh, Luigi Bassi , Simeon Bellison, Wilfried Berk, Kálmán Berkes, Julian Bliss, David Blumberg, Walter Boeykens, Henri Bok, Daniel Bonade, José Botelho, Tara bouman, Naftule Brandwein and Bruno Brun. The list of well known oboists includes: Koen van Slogteren, Jonathan Small, Peter Smith, Fredrik Söhngen, Robert Sorton Jan Spronk, Karl Steins, Cynthia Steljes Deb Stevenson and Ray Still. You cannot get a good oboe with $1000, you would need about $2000 at least for a decent student model. The professional ones like the Laubin's, the Howarth XL's, can go up to $10,000. The Hinikers can go up to $24,000. Mozart K314, Haydn Concerto in C, Beethoven F major, J C Bach, J C Fischer - plenty of Oboe classical compositions are available. How come it says, not used for classical muisic? Misguiding..